If you are like me, you just can’t bake. I once burned an oven mitt… How does one even leave an oven mitt in the oven? 🙂 Well, I did. Let’s just say I leave the baking to my wife. But! I think I have found one of the easiest bread recipes ever. 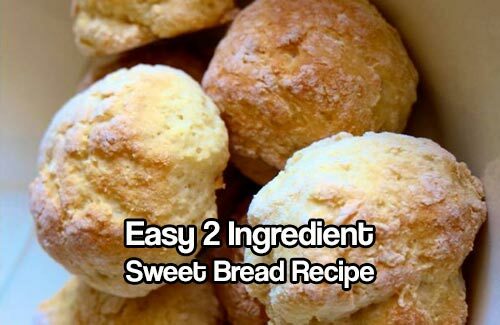 This bread has just 2 ingredients. I couldn’t believe it when I read this article. I think even I could make this bread. So I did. If you want to make the easiest, sweetest bread you have ever tasted, this is your bread. I would even heat the bread up and spread jam or if you are feeling a bit adventurous, layer it with clotted cream. The second ingredient is yogurt, so you can mix in different types of yogurt depending on your tastes. It’s so easy your young children can even help by mixing and kneading the bread and joining the fun!